In 1983, Brent Atkinson had an insight that would eventually change the profession of couples therapy. As a doctoral intern, Brent observed that many people who are dissatisfied with their relationships knew what they needed to change; they just couldn’t do it. Good intentions fly out the window with stunning regularity when emotions run high, and automatic, emotional tendencies prevail. When Brent began graduate studies, it was assumed that the automatic emotional tendencies that drive our adult relationships were formed early in life based on interactions with our parents, and once developed they rarely changed. But Brent believed that new findings about how the brain functions challenged this assumption. Brent’s thoughts about automatic emotional processes began appearing in professional journals before he completed doctoral studies in 1985, but it wasn’t until the late 1990’s that his methods became widely known. In a series of articles in the Psychotherapy Networker Magazine, Atkinson explained in plain language the scientific evidence that couples therapists could no longer afford to ignore. He went on to detail the changes that couples therapists needed to make in order to provide more effective assistance to partners who wanted to improve their relationships. Altered States: Why insight isn’t enough for lasting change. To accommodate the rapidly growing interest in his methods, Brent assembled a group of relationship experts and, with his wife Lisa (also a licensed couples therapist), co-founded the Couples Clinic and Research Institute. Soon, other team members were publishing their unique thoughts and speaking at professional conferences as well. Backed by the expanding research and innovations of the Couples Clinic team, during the next decade Brent gave 25 keynote addresses at professional conferences sponsored by the American Association for Marriage and Family Therapy, (AAMFT) and wrote a seminal article for AAMFT’s official magazine. Brent also produced two books, the first of which was heralded as a “tour de force of scientific sophistication and clinical wisdom” by the Editor of the Journal of Marital and Family Therapy. Brent soon followed with a second book – a step-by-step manual that translated scientific findings into a series of 30 exercises that partners could use to break out of old relationship patterns and establish new ones. 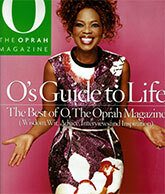 — O’s Guide to Life: The Best of O Magazine. By 2005, Oprah Winfrey had caught wind of the team’s methods and asked Brent to write about them for the Oprah Magazine. Two years later, she hand-picked Brent’s Love Breakthrough article to headline the “Relationships” section of her “Best of O Magazine” collection. Dr. Phil’s article was placed second in Oprah’s collection — behind Brent’s article, but he didn’t seem to mind. In fact, Dr. Phil began referring partners to Brent for therapy and published information about the Clinic on Dr.Phil.com. Now the cat was out of the bag. Brent was interviewed by popular outlets such as the Washington Post, Match.com, and Cosmopolitan Magazine. Goodtherapy.org added the Couples Clinic treatment approach (Pragmatic/Experiential Therapy) to the list of prominent couples therapy models. Academic accolades followed. In 2011, Brent received the designation of Master Therapist from the University of Connecticut’s Department of Psychiatry, and in 2012 he was awarded the distinction of Professor Emeritus from Northern Illinois University. Later that year, Brent left his university post in order to devote all of his energy to the Couples Clinic. Since then, interest in Couples Clinic methods has continued to grow around the world. 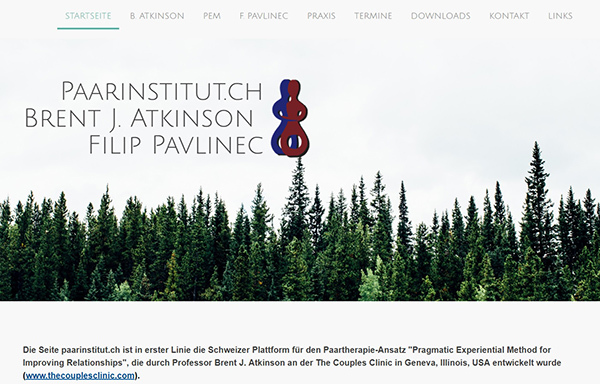 Brent now spends a portion of his time each year Switzerland at the Paarinstitut – an organization devoted to training European therapists in Couples Clinic Methods. But his main passion remains at home with the Couples Clinic, making sure that all people who come to the Clinic receive the expert, step-by-step help that they need in order to get their relationships on track.